I was raised as an observant Muslim in a British family. Women, I was taught, determine their own conduct — including their ‘veiling’. We’d cover our hair only if we freely chose to do so. That’s why I’m baffled by the notion that all good Muslim women should cover their hair or face. My entire family is puzzled by it too, as are millions like us. Not until recent years has the idea taken root that Muslim women are obliged by their faith to wear a veil. It’s a sign, I think, not of assertive Islam, but of what happens when Islamists are tolerated by a western culture that’s absurdly anxious to avoid offence. This strange, unwitting collaboration between liberals and extremists has been going on for years. But at last there are signs that it is ending. In response to cases brought by two veiled Muslim women from Belgium and France, the European Court of Justice (ECJ) has ruled that employers have the right to stop employees wearing visible religious symbols, including headscarves worn in the name of Islam. This ruling includes not only the burqa and the niqab (already entirely banned from the public space by a number of European countries) but also the face-revealing hijab. The ruling goes two ways: if the company does tolerate religious symbols, then no employee can be asked to take them off. In its ruling, the ECJ has taken a secularist stand against Islamists who seek to dominate the public space. A secular public space allows me to practice my faith, as it allows others to observe theirs. As the Quran says (109:1-6): ‘To you your religion and to me, mine.’ Giving an employer the right to restrict the use of headscarves, in Britain or elsewhere, is good for every believer. I’ve seen what happens when the public space is infringed upon by the religious. My medical career took me to Saudi Arabia, aged 31, where I was mandated by law to wear the hijab, covering all of my hair and neck. And with it the abbayah, a cloak covering my entire body from my neck to my ankles. For those two years, I became intimately acquainted with the cumbersome nature of forced veiling and its impracticality — even seeing it imposed upon my unconscious female patients. Where the veil is mandatory, a kind of oppression is implemented: an oppression that has absolutely no basis in Islam. There’s nothing from the early Islamic period about what the khimar — or veil — should cover, whether face, body or hair. The Quran, in Sura 24:31, reminds Muslim women simply of the need to ‘draw…[it] over their bosoms’. One of the Prophet Muhammad’s (pbuh) wives is commanded to speak from behind a ‘hijab’ (Arabic for ‘curtain’) as a mark of high distinction (Quran Sura 33:53). But even though Hazrat Aisha (RA) — one of the most eminent of the Prophet Mohammad’s (pbuh) wives and a great scholar of Islam — provided many details about the khimars, no record exists as to exactly how they were worn. Rigid interpretations of the veil are a recent invention. They’re derived not from the Quran or early Islamic tradition but from a misogyny which claims a false basis in the divine. So when the ECJ supports employers who ban the hijab, it is categorically not impinging on anyone’s religious freedom. The veil has more to do with a set of quite new cultural mores. The Islamists wish to say: we Muslims are different from the West. Increasingly, we don’t look like you, or act like you. For Muslim families who have lived in Europe for generations, this is a strange and ugly trend. The men and women agitating for the right to wear headscarves in Europe would do well to remember our own history in the Muslim world. In the 1920s, with the rise of secular states in Egypt and Iran, Muslim women began to organise in pursuit of their rights. In 1922, these activists, led by Huda Shaarawi, founded the Egyptian Feminist Union, and discarded their veils. Within a decade, countless women followed suit, and slowly, they forced their way into the Egyptian academe. Eventually Iran and Turkey forced women to de-veil as official policy. But the tide turned with the growth of fundamentalist Islam, and the 1979 Iranian revolution. The revivalist fervour spread quickly from the Shia to the Sunni world as Saudi Arabia and Pakistan started to impose Islamisation programmes. A prominent Shia fundamentalist spokesman, Iranian Ayatollah Morteza Motahhari, said the desire to be unveiled was ‘an epidemic’ and ‘the disease of our era’. The real epidemic, I’d argue, was a sort of totalitarian Islamism that wanted not just to run the government but to police what women chose to wear. Only now does the West seem to have worked out what has been going on. Rules about dress can, and indeed must, be imposed when any nation’s social cohesion is threatened. Europe is increasingly reaping the harvest of multicultural policies that have served to divide rather than unite. Not just with the growth of Islamism, either, but by engendering hostility to immigration and refugees — often towards my fellow Muslims. The Islamists thrive on this, the idea of Muslims being a society-within-a-society. If they invent religious grounds to persuade them to dress differently, so much the better. It suits their sectarian agenda. At long last, the European Court of Justice has moved to restore the bedrock of European identity: secular liberal democracy, where the public space is shared by all, and dominated by no one. It’s just a shame it could not have done so sooner, before so much damage was done. Do you support the right to wear whatever the person wants? Isn’t that part of a progressive worldview? The veil can be taken off when there are security issues and for identification reasons. The European Court of Human Rights (ECHR) is dealing with thee issue of business space and balancing rights of employee and the employer and not have a debate about practicing rights in public space. The ECHR decision is weak in the sense that debate is farmed in terms of rights of a business enterprise to be neutral on religious grounds. This is very narrow framing. Generally, the courts and especially a human rights court will define rights broadly and expansively rather than narrowing it down. If the debate is correctly framed in terms of identity rights and religion is considered a part of identity, then it will be challenging for ECHR to reach this weak conclusion. No business will be allowed to be neutral in terms of gender identity issues. Can a business in Europe impose a dress code only catering for male and female and not any other gender? This will not be possible. Framing the debate in terms of Identity rights allow more room to victim to practice her rights. The ECHR deploy a construct called ‘Margin of Appreciation’ which allowing states and authorities to exercise some room to adjust and accommodate human rights according to their local contexts. The current decision now allows the private business to have a “Margin of Appreciation.’ Will the private business be allowed this margin in terms of all rights with which they are dealing? I think not. The exception will be only in term of Islam. Unfortunately, ECHR is currently accumulating a poor record in terms of the rights of Muslims in Europe. The strong anti-Muslim feelings in Europe has impacted ECHR excellent history and record in terms of protecting rights of vulnerable and minorities. This has led to victims in Europe appealing to the even bigger human rights body; the Human Rights Committee of United Nation. That body seems to be often correcting the failures of ECHR. Maybe the victims in this case can refer their cases to that body. “secular, liberal, democracy” as an idea is fine. But its supposed practitioners tend to divert from its basic principles. In extolling its virtues, all writers inadvertently or deliberately neglect to address this gap between theory and practice. The author falls into that trap too, unfortunately. Don’t incoming US presidents take oath on the bible, raising the right hand and holding the Bible in the left? Some US presidents even use “so help me God” in the oath. Secularism’s fundamental proposition is to protect the rights of the believers (read Muslims) and non-believers. Is it not? I have yet to come across a writing that attempts to preserve this balance. Secular writers and practitioners trespass against the believers. A woman can choose and divorce her husband; Islam allows choice. I wish pro-secularists would read the Qur’an before passing judgments. They might find Qur’an to be “secular” and “liberal”. Basically, all “religious symbols” from all walks of faith must be banned immediately – from crosses, to sikh’s turbans/kurras, nun’s habits/rosary beads to , Buddhist prayer bracelets to even Jewish kippot and Hindu Om Shanti pendants. So, any country banning religious symbols in pursuit of a secular state should provide a comprehensive listing. 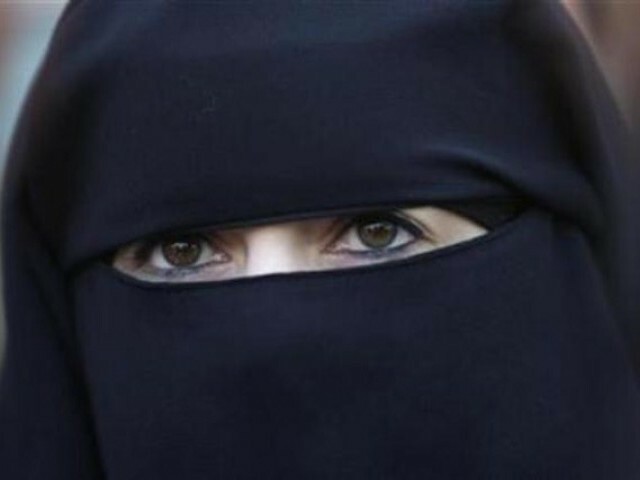 Essentially a hijab or a niqab are ‘pieces of cloths’ worn in a way that seems offensive to some. Likewise, the dress code of some coworkers are highly offensive but tolerated – including men wearing skinny pants that are just too tight and women with short skirts hiked so high there is no imagination left. shame it could not have done so sooner, before so much damage was done. The author has a biased conclusion.The European court has very little to do with the European identity, but simply to deal with the rights of the Employer and the Employe. Those who complained to the court were women not Islamist women but straight women who felt that their dismissal was unlawful. This was not the case, the court has asserted. The author was not forced to work in the conservative kingdom of Saudi Arabia which provides taxation benefits to foreign Nationals but also restricted living environment which even free thinking men would avoid to live there. I guess that you would prefer to live in the communist environment. This can not be practiced in multicultred democracies where the author lives today? I am amazed how the irony of banning a dress code is lost on people claiming to be liberal, secular and democratic. hiding face is a matter of concern and security. It has nothing to with religion. THEre are a lot of cases of guys such as our “beloved” Maulana Aziz, putting on Bura and Niqab and mingling among the women. This is not safe for women. The conservatives have a function in society and that is to stop the liberals and secularists going too far. Likewise, liberals and secularists prevent extreme views on religion. The universe is balanced and not lopsided. Cut too many trees and what happens? And so each school of thought has a balancing role to play in society. They can wear portable tents in Saudi Arabia for all I care – their country, their rules. The problem is they specifically move to secular European countries and then seek to impose their own incompatible cultures there at the expense of locals. No Westerner moves to Saudi Arabia or any Muslim country and starts demanding the right to walk around in shorts and bikinis. I am not good in reading news and collecting updates but what I heard “European countries banned ‘HIJAB’, then women claimed it is not right and they fought for it, they paid fine but they wanted to wear HIJAB. Then how come a question or debate came that “Women need freedom, they must choose what to wear what not to wear”, Extremist wants to make them wear Hijab. Women in Europe fighting to wear Hijab and Liberals are raising issues of women freedom by pinpointing HIJAB. What’s the Logic ?? Whats the point to bring HIJAB and Women Freedom in between.